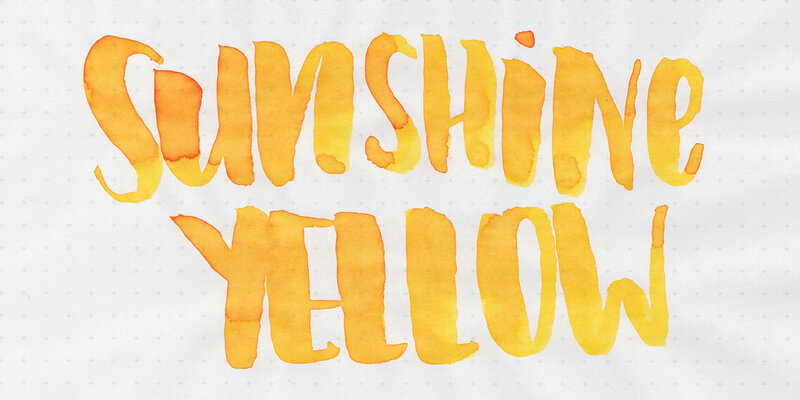 Today we are looking at Diamine Sunshine Yellow. I purchased my 30ml bottle of ink from Cult Pens. Sunshine Yellow is a bright cheerful yellow, almost an orange. In large swabs the color leans a bit more orange than it does in writing. Ink swabs for comparison, left to right (top to bottom for mobile RSS): De Atramentis Mahatma Gandhi, Diamine Sunshine Yellow, and Toucan Gold. 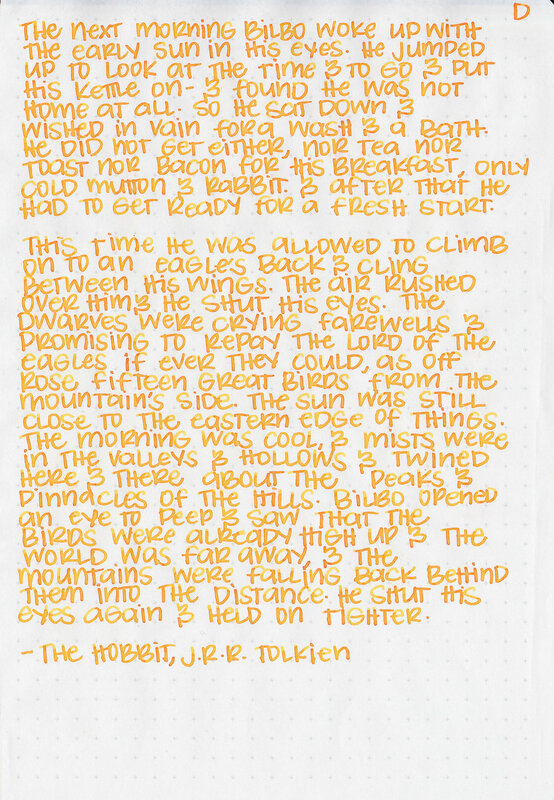 Click here to see the Diamine inks together. Bungubox Sweet Potato Yellow, Rohrer and Klingner Helianthus, and Diamine Amber. Click here to see the yellow inks together. Overall, since it's a darker yellow it's easier to read than most yellow inks are. I think there are a lot of yellow inks in this color range, and this one is pretty well behaved. Give it a try, you might love it.